Am i suffering because of Ciprofloxacin? For over a year now I have been suffering pains, all over my body, in my joints, muscles and bones. I get swellings between my finger knuckle joints, on my wrists and really badly on my ankles. I damaged my Achilles while jogging - it went off with a "crack" almost a year ago. I have gone from being a fit 48yr old that used the gym 3 times a week and walked for at least an hour a day to a 49yr old 'old lady'. I wake up stiff on a morning, sometimes with my Achilles already swollen. I have nowhere near as much energy and I often feel 'down'. I have to force myself to take the dogs out for a walk and always suffer for exercising later in the way of swellings and pain. I have cancelled my gym membership as weight training caused really bad muscle pain even for the lightest of weights. I can no longer tolerate alcohol and have a rubbish sleep pattern due to the pain. Just this week I was sorting out my tablet box and came across a nearly empty box of pills that I couldn't remember. I googled the name of them and found out that they were an antibiotic that I had been prescribed approx 14 months ago. They are Ciprofloxacin 500mg, one of the Fluoroquinolone Antibiotics. I went on to read the full details of the tablet and was quite horrified that Ciprofloxacin Side Effects seem to cover most of my present condition. 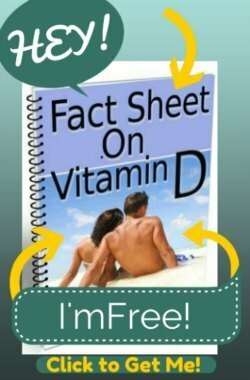 I have seen my doctor many times over the last year because of my pains and discomfort and I have been told it is everything from arthritis to fibromyalgia but no firm diagnosis has been offered. I have had lots of blood tests and all results came back as normal. I have been made to feel like nobody believes me and that it was all in my head. Just last week the doctor said that it could be tendonitis rather than fibromyalgia. Not once has Ciprofloxacin been mentioned as a possible cause for this - needless to say I have made another appointment to see my doctor next week to see what he has to say. 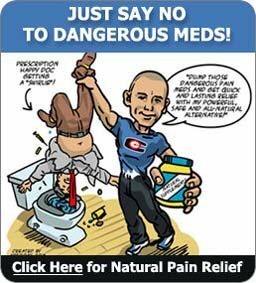 Why oh why would they prescribe such a damaging medication to a fit and active person when the obvious risks are so well documented? I would appreciate any advice you can offer. Comments for Am i suffering because of Ciprofloxacin? Well, I can't answer your question of why doctors prescribe the Quinolone Antibiotics. Mainly, simple ignorance, most likely, and a system that relies on education by the drug companies who would rather people were not aware of the problems with their drugs. So, while I can't really answer that question, your other question of 'is Cipro your problem', I can answer with a resounding 'Maybe'! Since there are no tests for Cipro poisioning, it's impossible to say and the 'diagnosis' of Cipro poisoning is self-diagnosed. So, good luck when you go to your doctor, it's unlikely that he will even acknowledge these well-documented problems from Cipro, let alone have an educated opinion on your symptoms being caused by a problem that he will likely deny. So, be prepared to be disappointed and frustrated when you go to your doctor for help. EVEN IF, on the off chance, he does acknowledge that your symptoms could be from Cipro, he's not going to have any help for you. In fact, the only 'solution' he'd have for it is to give you drugs that should not be taken when you have Cipro poisoning! So, his 'solution' is more likely to make you worse than better. 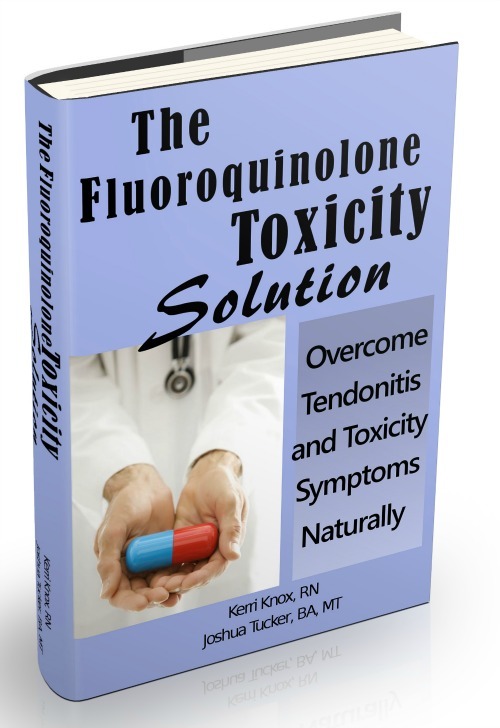 Fluoroquinolone Toxicity Solution in order to have an actual solution that has helped others to recover from the damaging effects of these drugs. Even if your issues are not from the Fluoroquinolones, the principles to resolve your issues are almost identical, and it's likely to help you anyway. I look forward to hearing about your progress on the forums we've created to help you recover.